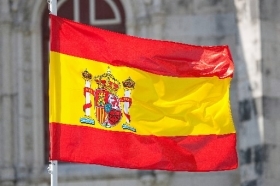 MADRID (Reuters) -- New-car sales in Spain rose 14 percent to 45,355 in August, the twelfth straight month of increases, car manufacturers' association Anfac said today. In July, sales rose 11 percent to 83,223. Under the scheme, car owners who scrap their old car and buy a new one get a subsidy of 2,000 euros, half from the government and half from the carmaker. In June, the government extended the subsidy program for the sixth time with a further injection of 175 million euros ($238 million). New-car sales in the first eight months reached 583,663, a 16 percent rise and the best performance over that period since 2010.